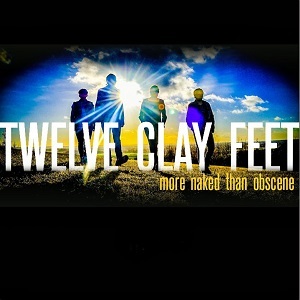 Cambridge band Twelve Clay Feet are back with their second album - More naked than obscene. If you haven't come across the band before then expect some great rock music. What they've delivered with this album is ten tracks of gret rock music which at times has a definite U2 feel, partly down to the excellent vocals of singer Ian Jeffs. There are some definite stand out tracks on the album - the first being the single, Hailstones. Check out this video and give it a listen for yourself.. The other track that realyl stands out for me is "Wrecking ball". It's harder and faster than most of the songs here, and the vocals carry more of a sense of urgency that speed the track along. It's rock with a bit of punk thrown into the mix and works really well. Picking out those two songs certainly doesn't mean the other tracks aren't good - they are. The whole album is very good and definitely worth a listen.